Those involved in the Good Food movement believe that if we are going to build a better food system, we need to promote healthier habits among our youngest eaters. 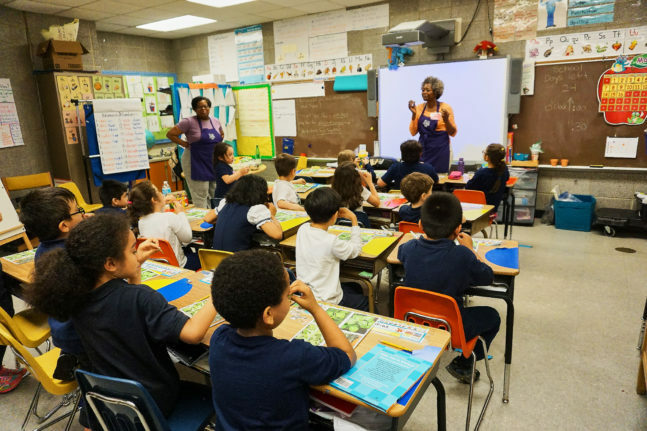 Since 2005, Chicago nonprofit Purple Asparagus has put that belief to action, bringing its engaging food literacy program to children kindergarten to 2nd grade in selected Chicago schools. The program — created by Melissa Graham, the organization’s founder and Executive Director — entails monthly visits by Purple Asparagus staff and volunteers to classrooms participating in the program. Each visit features a type of fruit or vegetable that is in season at the time of the lesson. 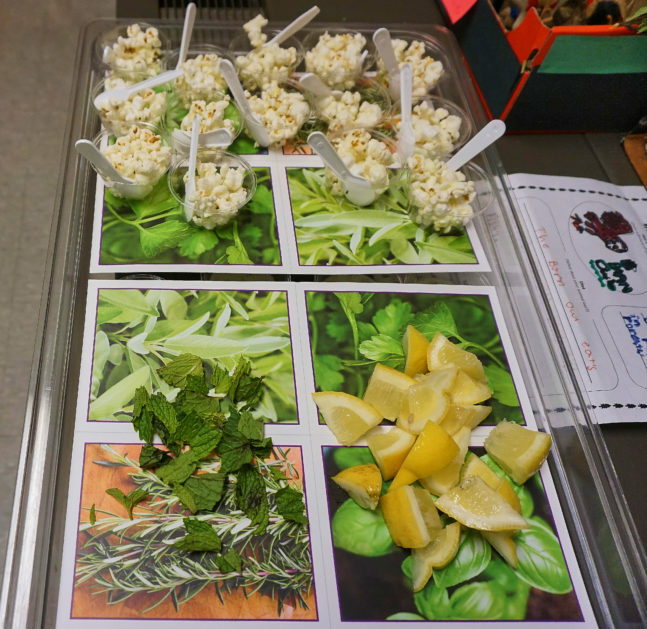 For example, a mid-May program at the Horace Greeley Elementary School in Chicago’s Lakeview neighborhood visited by FamilyFarmed featured a lesson about various types of herbs. 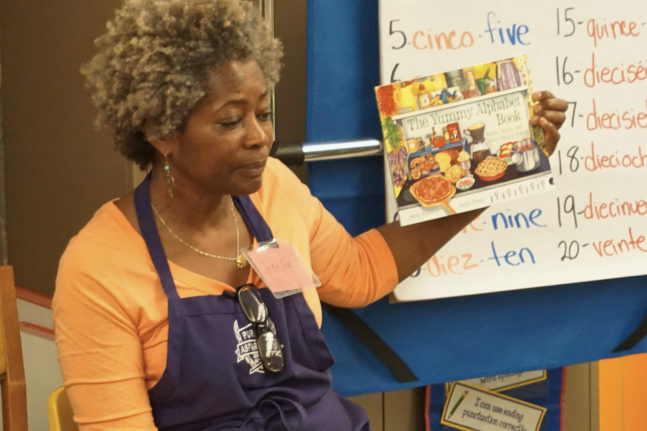 The centerpiece — actually the placemat — for each lesson is an 8-1/2-by-11 inch placard which has photos of types of food being discussed on one side and the recipes for the food items that the children prepare during the classroom session. The goal is not only to get children more engaged in learning about food and cooking, but to take the cards home and ask their parents if they can make the recipes there. FamilyFarmed has a longstanding relationship with Purple Asparagus, which for several years has produced children’s programming at our annual Good Food Festival, part of our Good Food Expo (formerly the Good Food Festival & Conference). 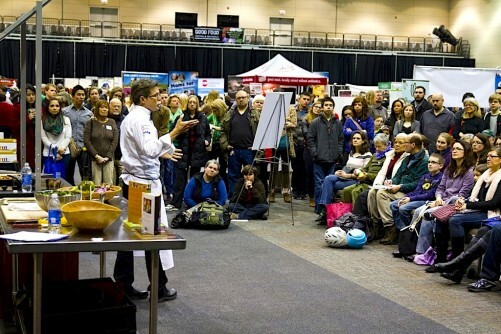 Our 14th annual Good Food Expo will take place at Chicago’s UIC Forum next March 23-24. 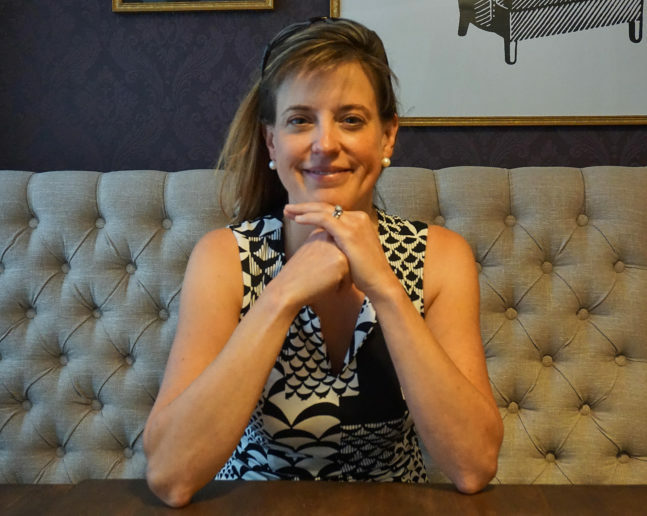 With the 2017-18 school year right around the corner, we are happy to present our chat with Melissa Graham of Purple Asparagus. Q: Let’s review how Purple Asparagus got started. Q: Was there much trial and error in coming up with the classroom programs? Melissa: Yes, a lot of trial and error. In how the presentation went, in the recipes we use, even what I consider the most crucial tool in our arsenal, which is those 8-1/2-by-11 laminated cards. We have an herb lesson plan. Herbs kind of look the same, they look like little green leaves. How are the kids going to be able to distinguish them on a plate? I looked online, found four pictures of herbs and laid it out on a Word document and just printed out these handouts. As I was leaving one of the classes, there was this little girl, she took her little scissors out of her bag and she started cutting it into flash cards. I said, “That is brilliant.” That’s how those whole recipe cards became a part of our toolkit. Q: That has to be very popular among both the children and the adults. They are simple enough for the kids to do on their own, but they’re also for parents who want to get their kids to eat better. Q: 2005 was only 12 years ago, but in terms of the maturation of the Good Food movement, we’ve come a long way. With the children, how much more sophisticated, has it gained from where they may not have had any knowledge or very little knowledge in 2005? Q: And from the other side, among parents, how much more sophistication is there? Q: If you’re affluent and knowledgeable and you have access to everything, then it’s just providing more information… For that constituency that’s eating chips and soda for breakfast from the corner store, it’s just getting them to eat any whole foods, any fresh meat or vegetable. Melissa: Just making sure it’s something that has that thread of familiarity and comfort to it… I think part of the problem in this country is that we’ve lost the joy of eating, and we’ve lost the pleasure of being at the table. And part of that is that we’re scared of food. We’re afraid it’s going to make us fat, we’re afraid it’s going to give us heart disease. 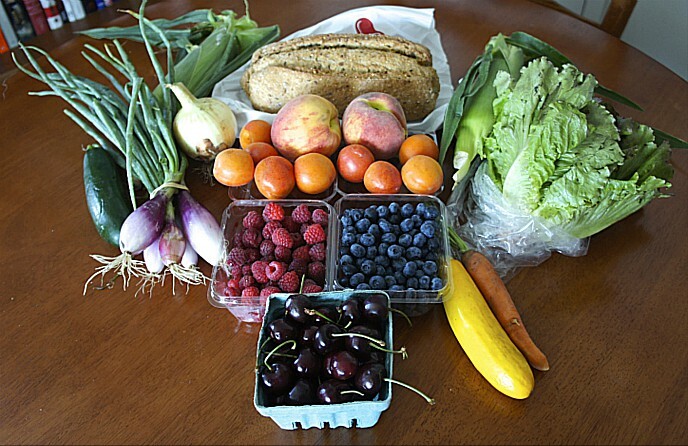 We’re trying to come at people with the simple common sense notion that if you eat lots of fruits and vegetables, lots of whole grains, get the processed foods out, then you’ll do well. Q: Most of the advances the Good Food market has made have been because of one thing: Consumer-driven market demand. Melissa: You see it with McDonald’s and sustainable seafood coming into that. Or Tyson moving toward antibiotic-free chicken, that is consumer demand. If you are going to have a sea change in this country, that’s where it’s going to come from. This entry was posted in Child nutrition and health, Easy Good Food Preparation, Farm to school movement, Food education, Healthy eating for children, home cooking, School food, Sustainable food education and tagged Chicago food education, early food education, FamilyFarmed, Food education, food literacy, Melissa Graham, Purple Asparagus. Bookmark the permalink.